Google Places for Business … Google+ Local Pages … Google Maps … What are these services, what is the difference and do I need them? Business listings on Google started with Google Maps and Places. Later, with the introduction of Google+, they created Google+ Local so businesses could also set up a profile on the Google+ network. 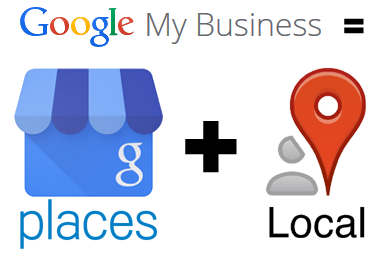 Google My Business was introduced to consolidate business listings from both Google Places and Google+ Local into one unified dashboard. Your single business listing in Google My Business allows you to manage your business listings in Google Maps, Google search results and on Google+. Getting started is easy. 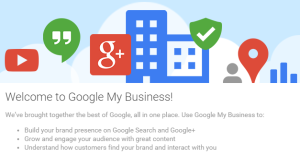 First search for your business name on Google+ to see if your business is already listed. Chances are, if your business has been established for over a year and has a published telephone number, Google may already have an automated listing. If you find it, look for the “claim listing” link to take over the listing and customize your business information. If your business listing is not already in the Google network, simply log into Google My Business and create your first listing! Be sure to upload your logo, product images and customize the background banner to make the page truly reflect your brand. Our marketing team is experienced listing businesses on Google My Business and other local listing services such as Bing Local, Yahoo! Local and others. 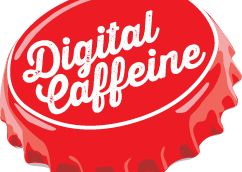 See our Local Search Optimization page for more information.